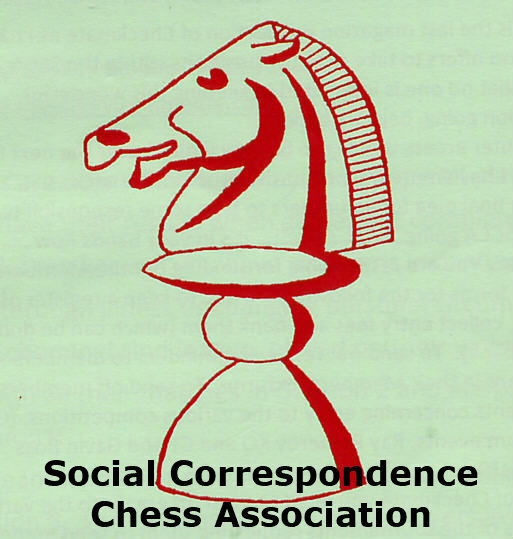 Until 2018, the Welsh Correspondence Chess Federation did not accept individual members; instead our "members" were correspondence chess clubs, such as BCCA, NATCOR, etc. At the 2018 WCCF AGM it was considered that this arrangement did not give Welsh players sufficient influence in the federation because the only voting members were the representatives of member organisations. The constitution has now changed to allow individual membership. Nothing! - if you play under the Welsh flag in ICCF, you are automatically a member. No! - We have two classes of membership for Welsh players "National" and "Premium"; National membership is free for life. If you are a National member you will have access to all ICCF, Zonal, and British tournaments, as well as most Welsh tournaments organised by WCCF - there is no obligation to pay for Premium membership. So, why pay for Premium membership? If you wish to be involved in WCCF governance you will need to be a Premium member before you can vote at the AGM or hold office on the Executive Committee. Some tournaments may be offered to Premium members only, or we may have differential entry fees for certain tournaments. We will take membership into account when selecting international teams to represent Wales, or when nominating players for international invitational tournaments. You will be supporting the work of WCCF. Only £5.00... for a full year! - Membership runs from January to December and we open subscriptions for the following year in November. OK, you have convinced me, how do I sign up? Firstly, you need to be signed into the WCCF website (you should be able to log in using your usual ICCF ID and password); from the dropdown in the top right hand corner of the site (under your name) you should follow the "My Membership" link. From here you should be able to subscribe using PayPal and your membership status will be updated as soon as payment is confirmed. If you prefer to pay by cheque, this can be sent to the WCCF Treasurer. I do not play under the Welsh flag in ICCF, can I become a member? Of course! - Firstly, if you are Welsh (either by birth or residence), or if you have a close Welsh connection, such as a family member, then you may be eligible to transfer your allegiance in ICCF to Wales. Please contact us for further details. But even if you don't have a Welsh connection, you can still join our International section. The membership fee is a little higher (£10.00 per calendar year), and you won't get a vote or be able to hold office, but you will get access to exclusive website content, and we will be running international tournaments which you will be able to enter as an International member.